Sterculia foetida L. is a widely distributed species, with many varieties, capable of producing latex products. The objective of this study was to select Sterculia foetida L. with a yield of at least 10% compared with that of today in the dry South Central. To achieve this goal, the research was done by selecting the dominant trees and testing the posteriority of the selected trees. The time for posterity testing is 4 years. 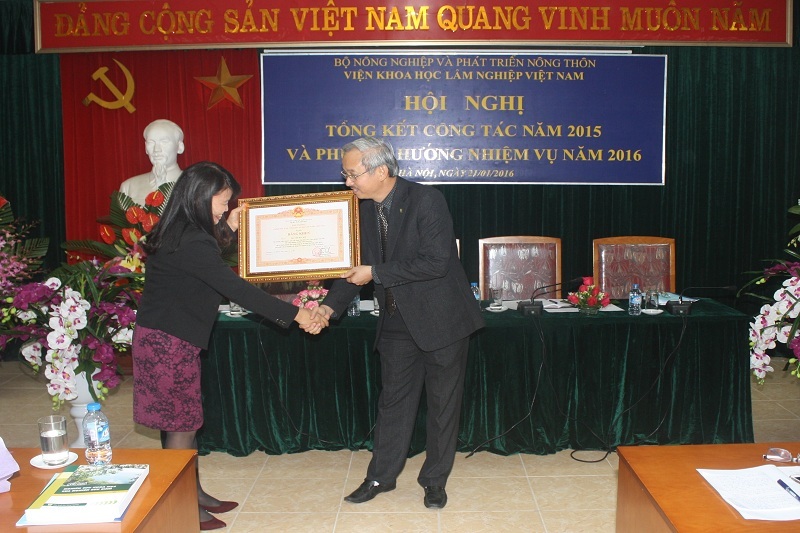 The results indicate that: (i) 50 mothers were selected from 11 provenances of 4 ecological zones in the South, of which the mother plants of Ninh Thuan and Binh Thuan were superior to the norm pus. 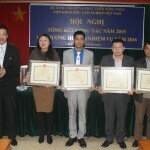 (ii) Identify the top 5 provenances, which are superior in terms of pungency and size criteria: Gia Lai, Kien Giang, Dong Nai, Ninh Thuan and Binh Thuan. (iii) Identify 18 families that excel in size; 8 families have their own size and only 3 families in size and latex. The last selected families are NT18, BT04 and BT01. Laichau ginseng (Panax vietnamensis var. fuscidiscus Komatsu, Shu & Cai) is highly regarded medicines in Vietnam for various diseases and tonic drugs for the elderly. This species is considered to be endangered and its distribution is limited. Therefore it need urgent to phonological growth stages investigate, which is important to establish technique propagation and cultivation. Four principal growth stages for germination, bud development, root formation and inflorescence, flowering, fruiting, ripening were obtained. Flowering was observed in the end of March to the end of May; Maturity fruit in the beginning of May to the end of September; Rip fruits from July to September. The highest germination rate was observed at 70% within 75-90 days when seeds were treated by soaking with concentrated GA3700 ppm for 24h. Catalogue the data of Phenology growth stages of Laichau ginseng are essential when developing management’s strategies for use in the conservation and sustainable utilization of the researched medicinal plants within Vietnam. Cuninghamia konishii Hayatais a valuable genetic resource but its natural regeneration is bad so that tissue culture to create disease free seedlings is very important. Among three popular background environments used in tissue culture of MS, B5 and WPM, study results shown that MS is the most suitable for shoot regeneration with highest regenerated samples of 77.78%. Shoots are fat and green. All three growth stimulants of BAP, Kinetin and GA3 increased the shoot regeneration of Cuninghamia konishii Hayata, of which BAP produced the higher rate of shoot regeneration than that of Kinetin or GA3 at the same concentraton. Coconut water at 150ml/l is the most suitble to provide protein and cacbohydrate to supply organic nutrient sources for shoot growth. 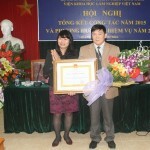 Research on structural and regenerative characteristics of Prunus arborea was conducted in Hoa Binh and Son La provinces, Vietnam. The results indicated that P. arborea has natural distributions in the forest status of IIA, IIB, IIIA2, and IIIA3. The tree (stems with diameter at breast height >6 cm) density of P. arborea ranged from 1 to 33 stems ha-1 (mean of 8.7 stems ha-1), corresponding to the base area is 0.3-1.7 square metersha-1 and yeild is 2.0-11.7 cubic meters ha-1. 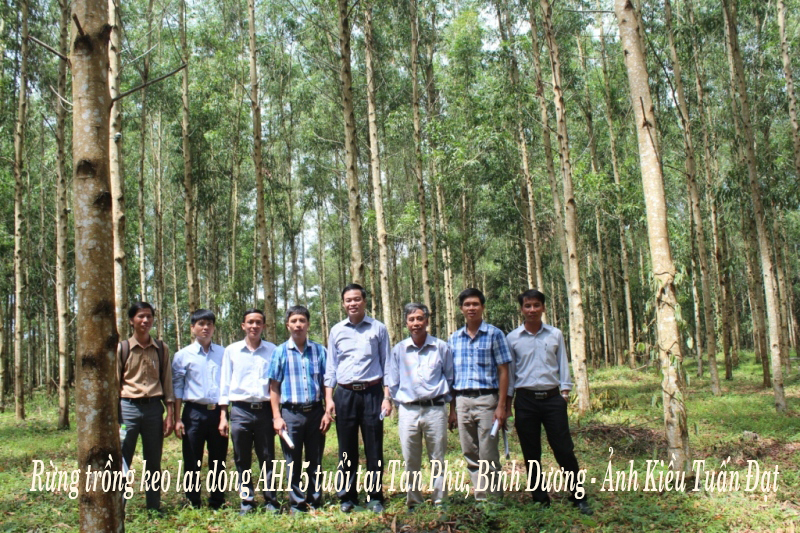 In Hoa Binh province, P. arborea has Importance Value Index (IVI) of 6.1-7.4% in forest status of IIB and IIIA3. In upper forest canopy, there were two groups of dominance species with only one group having appearance of P. arborea. 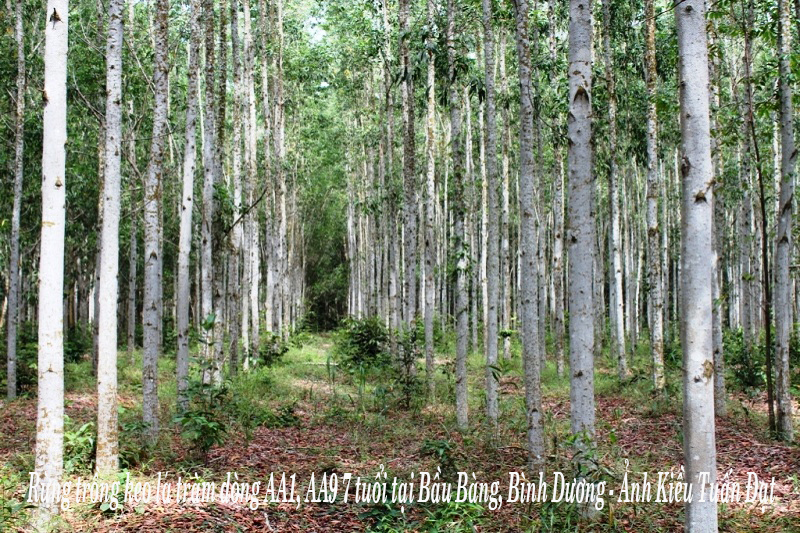 Seedling density of P. arborea in both Hoa Binh and Son La provinces ranged from 93 to 126 stems ha-1 and all seedlings regenerated from seeds. Potential seedlings, which can grow well to recruit to saplings, accounted for 1.01-1.37% in both provinces. The number of seedling species included in formula of species composition ranged from 3 to 13. In which, the index of P. arborea was 5.56-6.06%. Seedling density of P. arborea changed dramatically from 1,296 stems ha-1 in <1 m tall class to 33 stems ha-1 in >3 m tall class. Ardisia silvestris Pit is listed in the National Red Data Book of Viet Nam (Level V). This research airm to provide scientific information on the current status, biological characteristics, natural regeneration of Ardisia silvestris Pit at Son Tra nature reserve, Da Nang city. This species was distributed in humid areas with the middle elevation range from 467-540 m, flower bloom in March, fruit in August to March of next year. Engelhardia spicata Lesch. ex Bl. var. spicata. is the highest dominant species with 38.925% in canopy layer, Cryptocarya chingii Ching with 14.04%. Tree species diversity of canopy layer with an average of Shannon index (H) and Simpson index were 2.71, 0.92 respectively. Ardisia silvestris Pit was regenerated from both of seed and bud. Buds regeneration was 82% of total, seed regeneration accounted for 18%. The quality of trees regeneration was good at 64% of total. The density of regenerated Ardisia silvestris Pit population was 183.33 trees/ha. The type of trees regeneration distribution was non-homogeneous distribution, that lead to the lacking of the source of Ardisia silvestris Pit regeneration. Therefore, it is necessary to have solutions to preserve and promote the regeneration of Ardisia silvestris Pit in Son Tra Nature reserve. 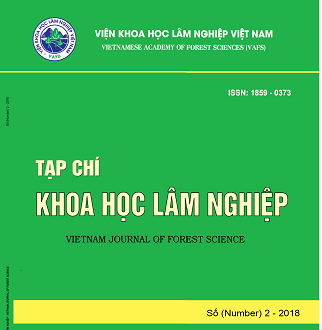 The paper presents the results of structural analysis of timber species, forest structure, forest regeneration and plant diversity of rich and medium forest forests in tropical moist evergreen forest at the Nam Huoai Forest Management Board, Lam Dong Province. Data were collected on 10 standard plots with an area of ​​2,500 m2 (50 m ´ 50 m). 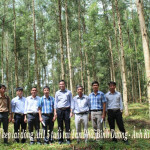 On each plot, tree species composition, DBH, tree height, tree height under canopy, tree canopy diameter are measured. Results of data analysis show that the total number of timber species in the medium and rich forest categories is 53 and 46 species, in which timber species composition of the eight dominant timber species and co-dominant species is 69.4% in the medium and rich forest is 69.5%. The N/D distribution is left- tailed form in medium forest and “J” form in rich forest. Natural regeneration in both forest group occurs continuously over time. 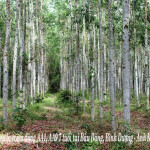 There were no significant differences in alpha diversity indices (N, S, d, J’, H’ and Simpson) in the two forest groups. The Paramichelia braianensis Dandy is a large evergreen tree, 30-40m high, 40-70cm in diameter. This species is endemic to Vietnam, found only in the Central Highlands provinces from Gia Lai, Dak Lak to Lam Dong (Di Linh, Braian). The tree is distributed at the height of 600 – 1.000m in stands of evergreen broardleaved forest natural or coniferous forest. In the surveyed stands in Kon Ha Nung, the Paramichielia braianensis appearance ranged from 8 to 36 trees/ha, accounting from 1.7 – 6.2% of the total number of individuals in the surveyed stands. The average diameter is from 27.58 – 65.11 cm, and the average height is from 17.60 – 29.41 m, higher than the mean from 114.3 – 243.2% in diameter and from 99.8 – 156.4% of the average height of the stand. The average basal from 1.19 – 14.72 m2, accounting from 2.6 – 28.8% of the total stand basals. The average volumes from 13.1 – 304 m3/ha, accounting from 2.4 – 37.4% of total stand volumes. The number of new species emerging from the regenerated tree species ranged from 2 – 30 trees/ha (2008) and 59 – 99 trees/ha (2012). At the time of 2004 and 2017 no new species emerged from the nearby regenerated tree. The average basal of new individuals entering the tree floor ranged from 0.02 – 0.30 m2/ha and the average volumes of replanted forest ranged from 0.26 – 4.64 m3/ha. In Bidoup – Nui Ba national park, the capable natural regeneration of evergreen mixed broad, needle leaf involving concentration of Fokienia hodginsii, Keteleeria evelyniana, Pinus krempfii, Pinus dalatensis is relatively good. Density regeneration’s from 22,500-38,530 trees ha-1, includle: the small regeneration trees (Hvn<1 m) reached from 41.1-60.9%, the advanced regenerating trees (Hvn>2 m) accounted for from 6.2-20.1%, corresponding to the 2,000-5,740 trees ha-1. The number of dominant regenerated tree species in the species composition formula varies considerably between habitats, from 2-6 species. The advanced regeneration group’s more diversified species of trees (43-66 species) than the small regeneration group (28-48 species). The rates of good and rather quality regenerating trees’s relatively high (>80%). Regeneration capacity in place of the conifers are very low, the density of regeneration average of only 1.15% over the communities. Regenerated trees in most plots of the mixed broad, needle leaf forest in the study area have cluster distribution. 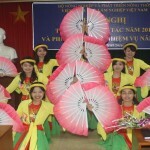 Từ khóa: Quản lý lập địa, trồng lại rừng sau khai thác, suy thoái đất rừng trồng, bạch đàn lai UP. Decline of yield and soil fertility of eucalypt plantations are associated with unsustainable site management practices. This study tested the simultaneous effects of fertilizers and slash management on growth and soil properties of 3-year-old Eucalyptus hybrid (E. urophylla ´ E. pellita) planted on degraded land after several rotations of eucaltypt plantations in Yen Bai and Quang Tri provinces. The growth data collected annually from ages 1 to 3 showed that application of fertilizers based on specific demand of the trees have a significant effect on growth rate. Fertilizer mixed from single elements including micronized organic fertilizers, urea, super phosphate and potassium fertilizers have the best growth rate compared to the NPK fertilizers commonly used in practice. Applying microorganism-inoculated products has better effect on phosphorus mineralisation and cellulose decomposition into available minerals for plant uptake, but with poorer growth rate due to lack of fertilizer application. The growth rate was not significant different between the slash and litter burning and non-burning treatments for land preparation. Soil organic carbon and some soil chemical properties such as pH, nitrogen and phosphorus have significantly changed after tree planting. Total soil organic carbon and nitrogen increased slightly after tree planting due to decomposition of organic matters from slash and litter, but in the second and third years, they decreased significantly. Extractable phosphorus continuously reduced since tree planting, which is associated with soil phosphorus immobilisation. There is not significant different in the soil properties between the burned and non-burned treatments and between fertilizer treatments up to 3 years of ages. 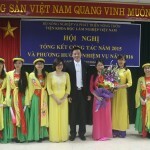 Sinh khối sơ cấp thuần (NPP) của hệ sinh thái rừng thể hiện sự trao đổi các bon giữa hệ sinh thái và môi trường xung quanh. 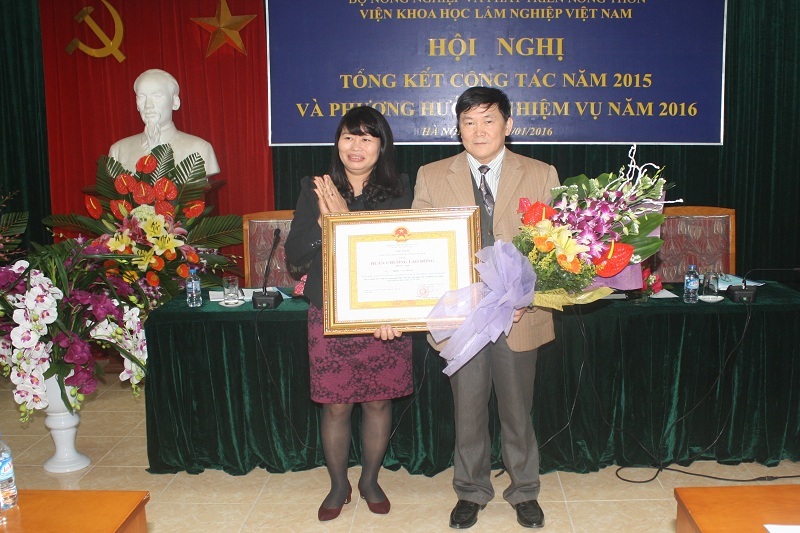 Trong nghiên cứu này, NPP dưới mặt đất được xác định cho rừng thứ sinh lá rộng thường xanh tại Kon Hà Nừng, Gia Lai. 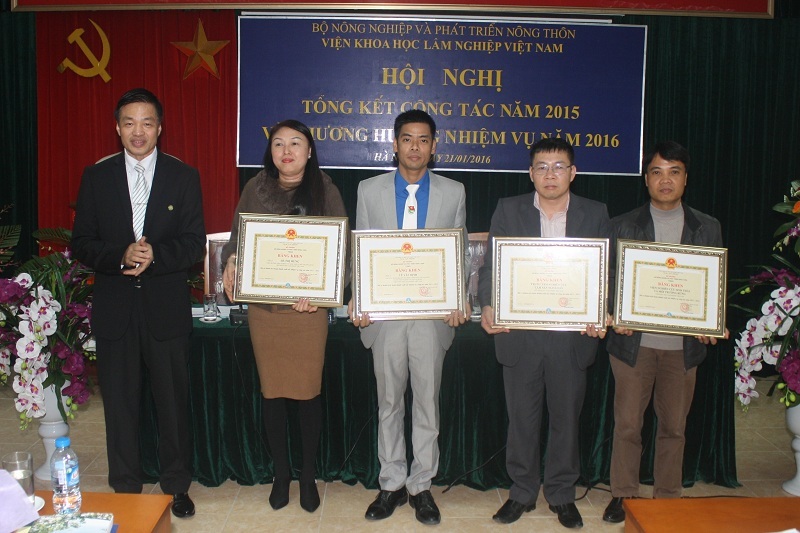 Số liệu được thu thập từ 3 ô tiêu chuẩn, mỗi ô có kích thước 30 m ´ 30 m trong thời gian năm 2015 và năm 2016. 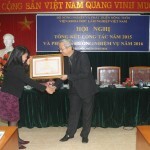 Nghiên cứu sử dụng phương pháp của Osawa A, Aizawa R (2012) để xác định tăng trưởng sinh khối rễ cám (rễ có đường kính ≤2 mm) và tăng trưởng sinh khối rễ lớn (>2 mm). 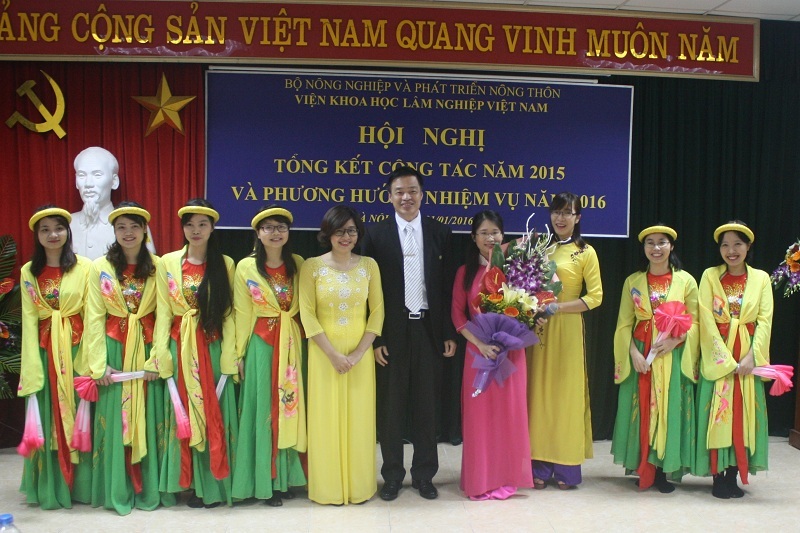 Kết quả cho thấy tăng trưởng sinh khối dưới mặt đất của rừng nghiên cứu đạt 1,549 ± 0,28 tấn khô/ha/năm. 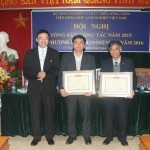 Trong đó, sinh khối rễ lớn là 0,91 ± 0,03 tấn khô/ha/năm và sinh khối rễ cám là 0,63 ± 0,25 tấn khô/ha/năm. Net Primary Production (NPP) represents the carbon exchange between forest ecosystem and environment. In this study, belowground NPP was estimated for tropical secondary evergreen broadleaf forest in Hon Ha Nung, Gia Lai province. Three typical sample plots with a size of 30 m ´ 30 m each were established for data measurement for years 2015 and 2016. The method of Osawa A, Aizawa R (2012) was applied to determine the increment of fine root (root with diameter ≤2 mm) and the increment of coarse root (diameter >2 mm). The results indicated that belowground biomass increment of the study forests was 1.549 ± 0.28 tons/ha/year. Of which, the increment of coarse roots was 0.91 ± 0.03 tons/ha/year was from contribution of coarse roots and the rest was contribution of fine roots. Nấm Isaria tenuipes là loài nấm đông trùng hạ thảo tuyết thu thập từ rừng tự nhiên Vườn quốc gia Hoàng Liên. 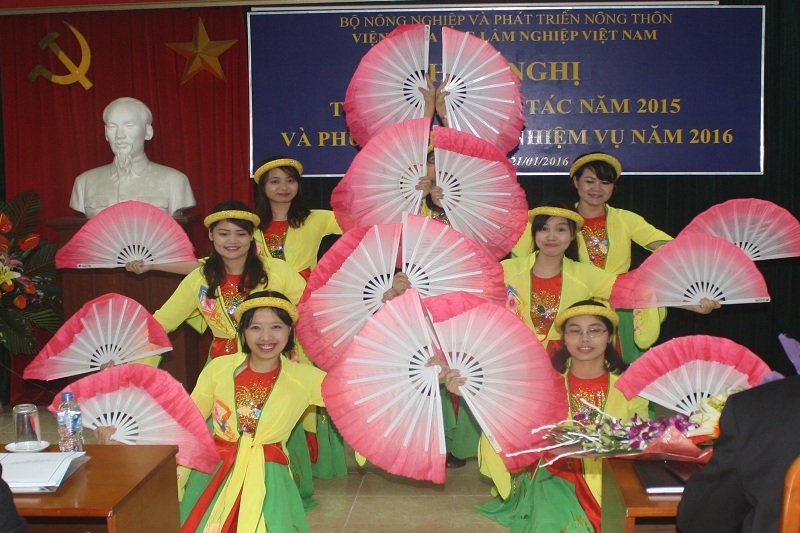 Hai loại giá thể nhân tạo gồm môi trường hóa chất lỏng và nhộng hoặc sâu tằm được nghiên cứu để nuôi trồng thể quả đệm. Môi trường hóa chất lỏng gồm: 40 g glucose + 10 g peptone + 0,5 g KH2PO4 + 0,5 g K2HPO4.3H2O, + 0,5 g MgSO4.7H2O + 10 g yeast extract trong 1 lít nước và môi trường gồm 30 g glucose + 3 g peptone + 0,5 g KH2PO4 + 0,5 g (NH­­4)2­SO4, + 0,5 g MgSO4.7H2O + 1 g yeast extract + 0,5 mg B1 trong 1 lít nước. Khi nấm được nuôi trồng trên giá thể là nhộng tằm, tốt nhất là nhiễm nấm từ giai đoạn sâu non tuổi 5, tỷ lệ sâu nhiễm nấm 76,67%, trọng lượng tươi đạt 0,895 g/nhộng. Khi nuôi trồng trên giá thể nhộng tằm quả thể đệm nấm có màu vàng trắng sữa, hình dạng và màu sắc giống với thể quả đệm thu được ngoài tự nhiên, vườn quốc gia Hoàng Liên. Isaria tenuipes is a fungus called snowflake Dongchunghacho due to its appearance that was collected from the natural forest of Hoang Lien National Park. Two kinds of artificial substrates including chemical broth medium and silkworm larva/pupa were invertigated for synnenmata production. The chemical broth medium containing 40 g of glucose + 10 g of peptone + 0.5 g of KH2PO4 + 0.5 g of K2HPO4: 3H2O, + 0.5 g of MgSO4.7H2O + 10 g of yeast extract in 1 liter H2O and medium 30 g glucose + 3 g peptone + 0.5 g KH2PO4 + 0.5 g (NH4)2SO4 + 0.5 g MgSO4.7H2O + 1 g yeast extract + 0.5 mg B1 in 1 liter H2O. When the synenmata production was cultured on silkworm pupa/larva, it was best to fungal infection from 5th instar silkworrm larva. Synnemata production of I. tenuipes was excellent in 5th instar silkworrm larva with an incidence rate of 76.33%. Synnemata living weight obtained 0.895 g/1 pupae. The synnenmata were milky-white in color, and were similar in shape and color to wild synnemata collected in Hoang Lien Natural Park. In recent years, Pseudoplagiostoma eucalypti causing canker is one of the major diseases in eucalyptus species during nursery period. 40 days after applying different chemical fungicides and biological agents on infected three – month eucalyptus seedlings (after 10 days of pathogenicity by P. eucalypti) showed that damage incidence and average damage index in the treatment formulas were significant difference. The treatment formulas using Carbenzim 500FL, Tilt super 300EC and Ao’Yo 300SC reached the highest result with recovery rate from infected seedlings are 77.8%, 88.9 and 90%, respectively. The recovery rate in treatment formula using biological agent Sat 4SL is only 24.5%. 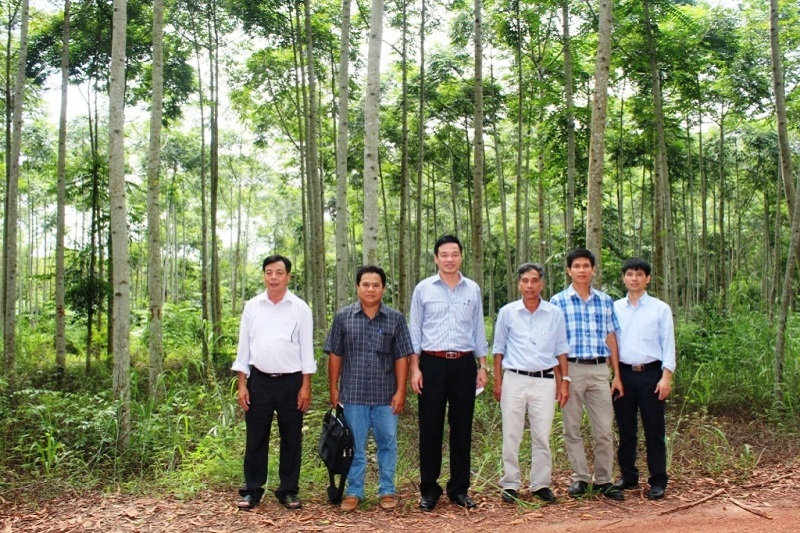 The study “Evaluation of investment efficiency in planting forest at U Minh Ha region, Ca Mau Province” was conducted in 2017 on the area of four communes of U Minh district, Ca Mau province. The area of 527 hectares an of productive plantation planted in 2012 was investigated in four main models: Acacia hybrid planting on high embankment (AHHE), Acacia hybrid planting on embankment (AHE), Melaleuca leucadendra planting on embankment (MLE) and Melaleuca cajuputi planting on embankment (MCE). Using the method of investigating the growth of trees, collecting investment costs and product prices to evaluate economic efficiency of each model. The study found that growth of plantation of all models were quite good for productivity after five years of planting, ranging from 19.8 to 47.2 m3/ha/year. Among the models, the AHHE had the highest productivity reaching ≈ 47 m3/ha/year; next were the two models of AHE and MLE, obtaining ≈ 34 m3/ha/year and 32.8 m3/ha/year, respectively; the model of MCE had the lowest yield with 19.8 m3/ha/year. Investment efficiency of the models were quite high: the net profit value before tax of the AHHE was the most effective, ≈ 89.7 million VND/ha, followed by the AHE and the MLE models which values were 69.7 million VND/ha and 59 million VND/ha, the lowest was 35 million VND/ha for the MCE model; the ratio of the benefits and costs of the MLE model is the highest ≈ 2.34 times, the AHHE was 2.14 times while AHB and MCE were equivalently 1.9 times. Sensitivity analysis has shown that in an assumption that the reduction of 10% of wood yield and price, the net profit before tax remained at high levels, ranging from 23 million VND/ha to 61.6 million VND/ha. 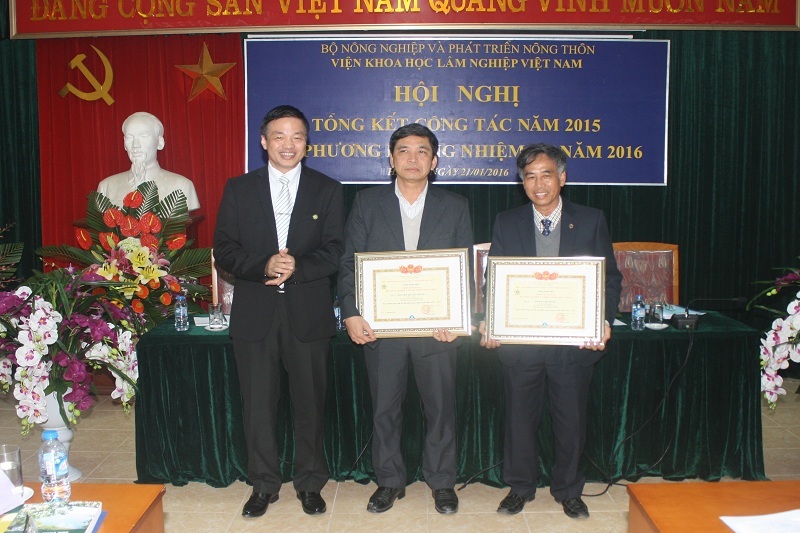 Two models of AHHE and MLB were quite safe with 61.6 million and 48.6 million VND/ha, respectively. 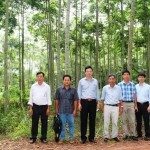 Keywords: Plantation forest, investment efficiency, U Minh Ha, Ca Mau province.